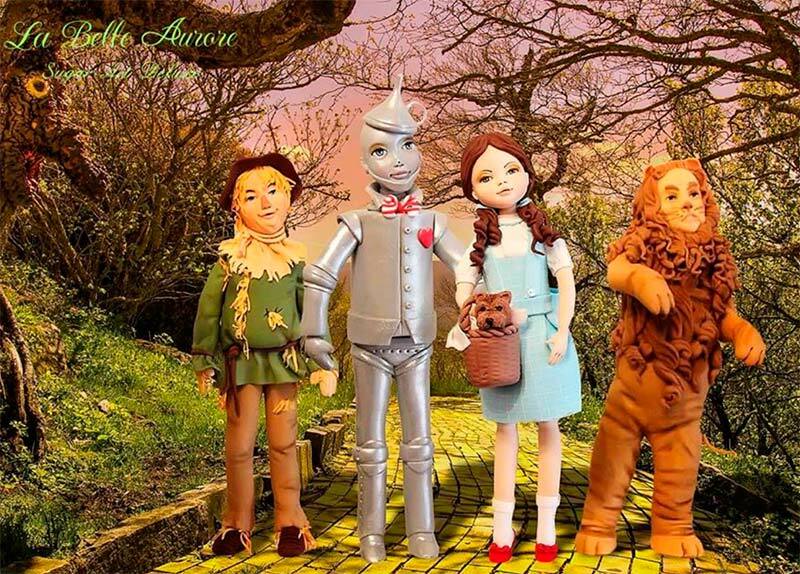 La Belle Aurore with Aurora Bonafede (Bachelor in Fine Arts), Cristina Bonafede (Interior and Technical Web Designer) and Massimiliano d’Orso (Goldsmith) began its adventure in 2012 competing at the “Cake for children” and winning the first award. Since then, it has been a succession of awards such as the “Glamour Italian cakes” (SigepRimini 2013), “Cake Festival” (first award -Milan 2013-2014), “Cake Fest” (first award- Caserta 2013- 2014), “Cake International” (two gold awards -Birmingham 2013-2014), “World Championship” (gold award – Massa Carrara 2014) and “Cake Festival” (Best Cake designer- Milan 2015). 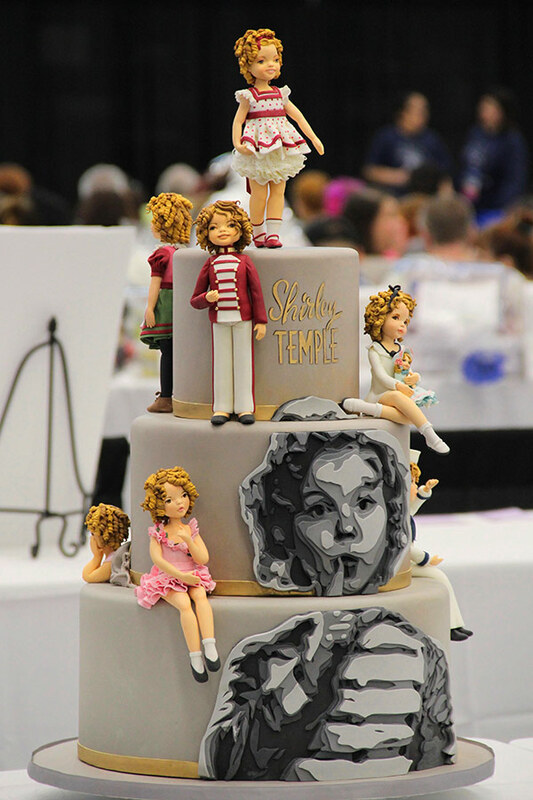 In February 2016 La Belle Aurore competed with a cake in honour of Shirley Temple, representing her movies with little dolls, at “That Takes the Cake” (Round Rock- Texas). They won three awards: Gold in Master category, Best Division Master and Best of Show. 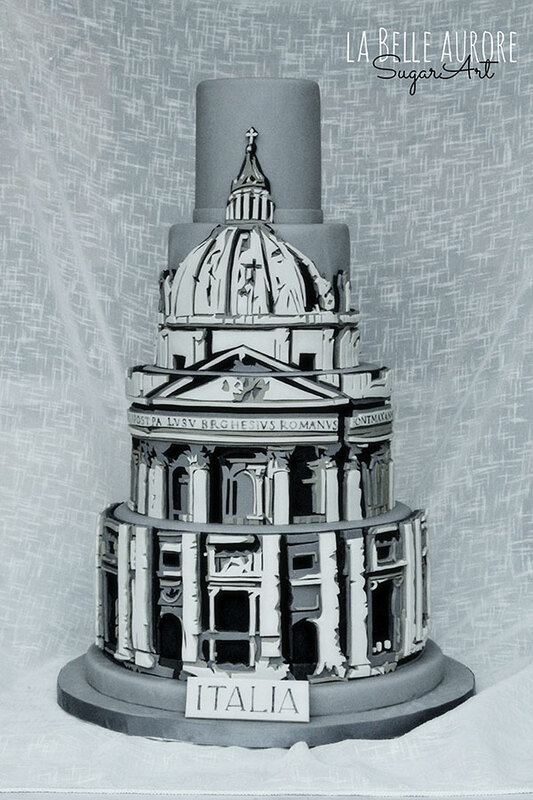 In the same year, at the New York Cake Show, it has been honoured among the 10 best cake designers in the world. The three artists stand out for their unique techniques in modelling, as well as for the use of the multi-layer technique. 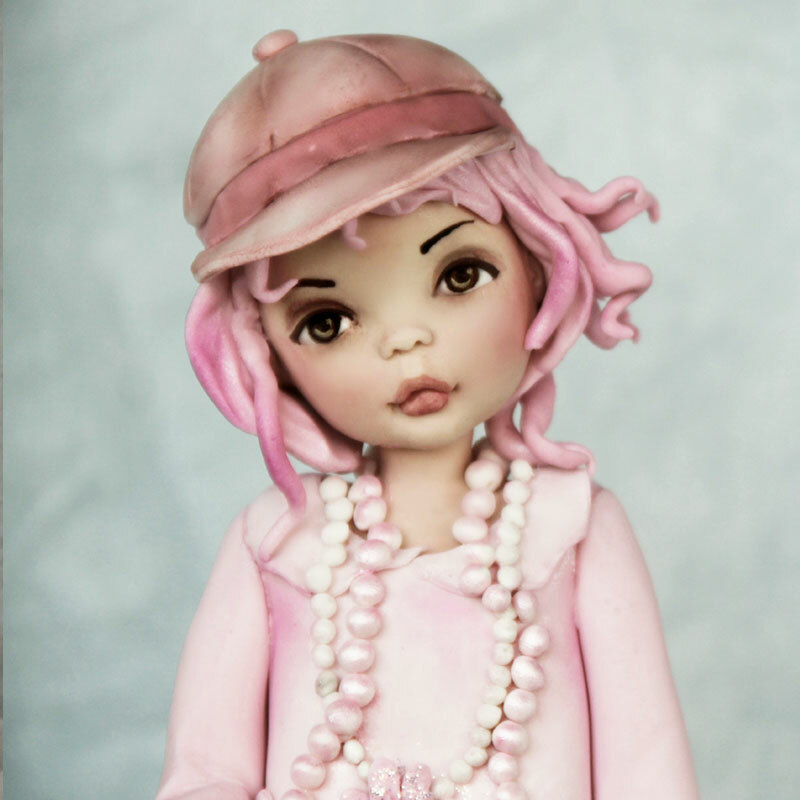 The characters they realise are mostly natural babies with a vintage look and a porcelain finish. Particular attention to detail, such as facial expressions, dresses and hairstyles. This technique results from Aurora’s rework of the painting technique used on canvas and was conceived to escape the pictorial two-dimensionality in order to give more thickness and material volume. 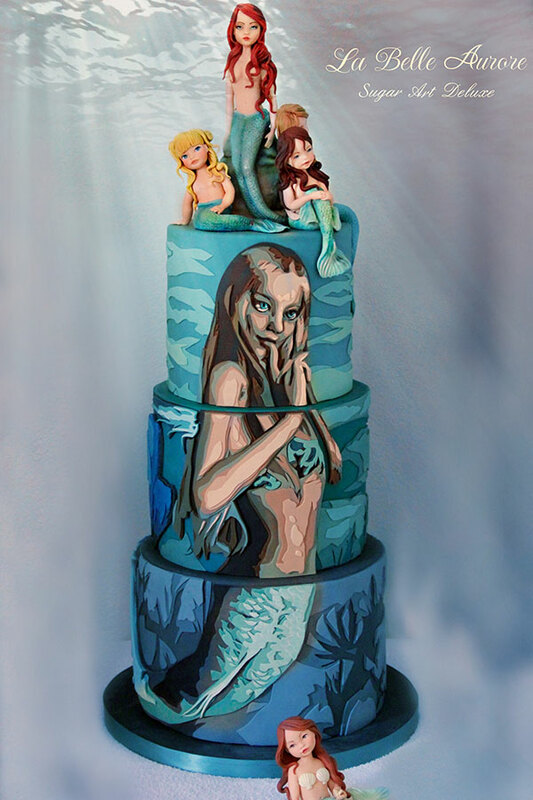 In painting this effect is obtained by the use of resins added to colours; in cake design the mix media painting has been replaced by sugar paste layers properly coloured, shaped and overlapped in order to obtain the same three-dimensional effect. 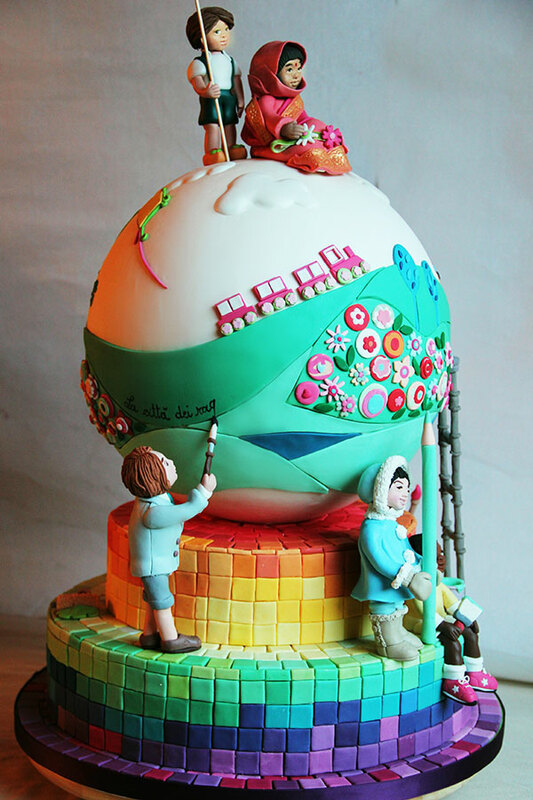 It’s an innovative technique which has become extremely popular in the world of sugar art. The three artists are currently holding courses and master-classes all around the world. 2016 – Partnership with Kurt S.Adler, leading importer of holiday decorations for over 70 years, envisaging the design of annual doll collections. 2017 – At Soflo Cake & Candy Expo they won third place, Professional Division, with a mermaid lagoon themed cake. 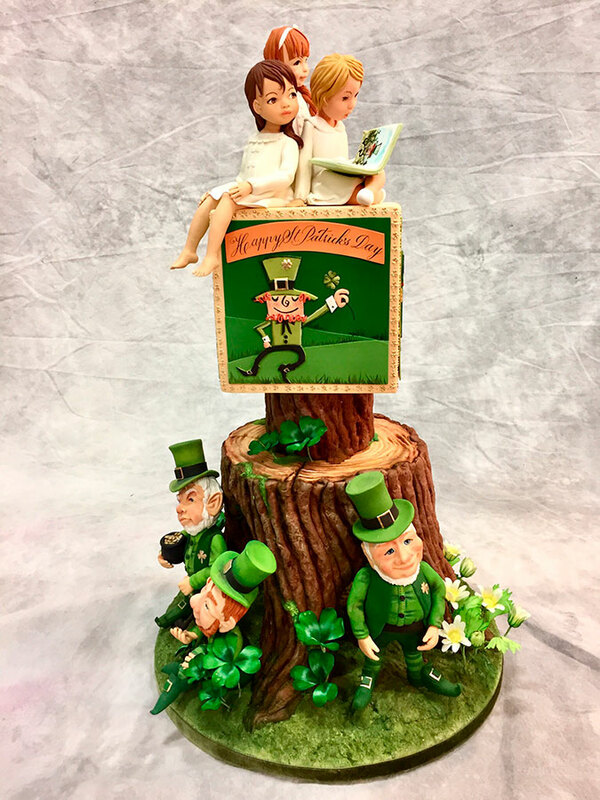 March – At the National Capital Area Cake Show they won first place in the following categories: Best Division (Master); Decorator’s Choice and Grand Prize (Divisional), with a cake on the “Saint Patrick’s day” theme. 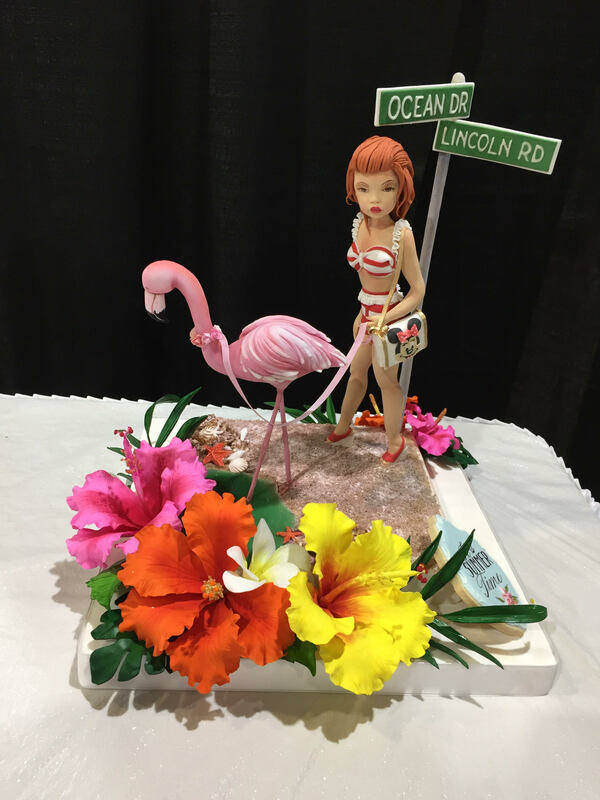 May – at Soflo Cake and Candy Expo Miami they won GOLD in the Professional Division no-cake category; GOLD and FIRST PLACE in the cookie category.